Dhankot Traders holds expertise in fabricating and delivering a broad range of Hsfg Nut in fine quality. Fulfilling the demands of various clients, we offer these products in varied length, dimensions, sizes and technical specifications as per the requirements of clients. Our Hsfg Nuts are extremely renowned for their various applications, rugged construction, long-lasting life and high functional efficiency. Due to its high efficiency and bulk availability, these HSFG Nuts are enormously used in various automobile and mechanical industries. Especially, these are used for joining equipments and parts securely. These are available in various specifications and offer them within limited frame of time. 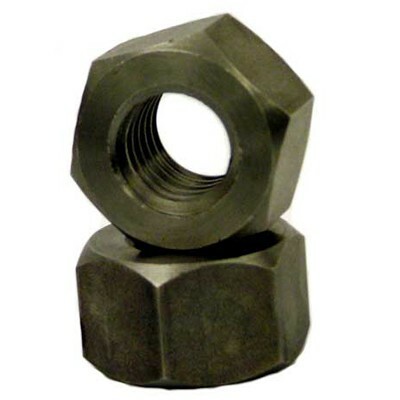 Acknowledged by various industries and clients, our company is renowned as one of the remarkable Manufacturers, Exporters and Wholesale Hsfg Nut Suppliers from Chennai (Tamil Nadu), India.